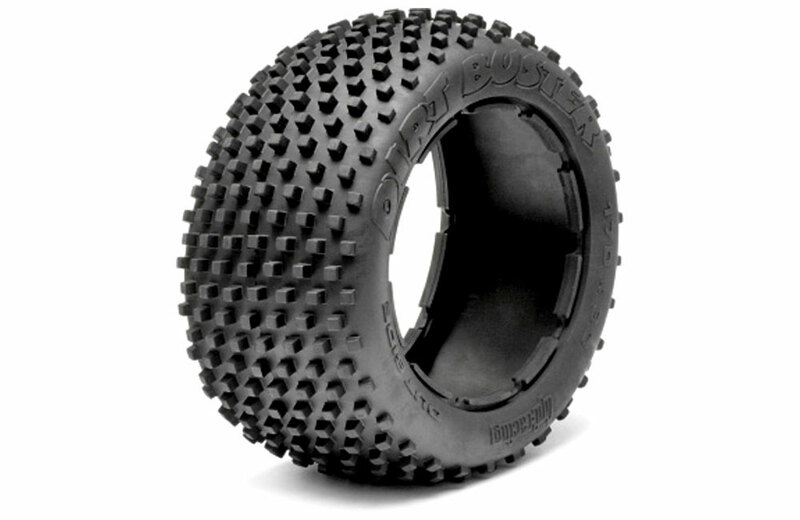 All Products > "4834 HPI Racing Dirt Buster Block Tyre S Compound"
The Dirt Buster rear Block tyre in S Compound is the perfect all-terrain pattern and compound for the Baja 5B! It fits easily on the multipiece rear wheels and provides the excellent grip and traction needed to roll over any type of surface you might encounter. Dozens of square-shaped pins grab dirt and grass to propel the Baja through all terrains. The low-profile sidewalls resist flex, giving you more traction in turns than a high-profile tyre would. Easily replaceable with the Baja 5B 3-piece wheels. 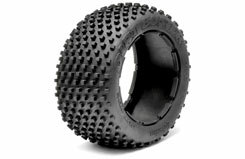 This is the perfect off-road tyre for the Baja!